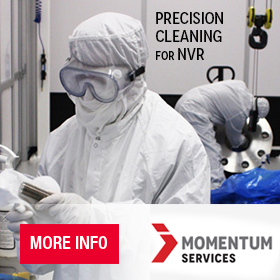 Watch our coating video. It chronicles MOGAS coating advancements and highlights our 18,000 sq. ft. dedicated coating facility. Discover how MOGAS makes a meaningful impact on each other, our customers and the industries we serve. Valve design is really about flow control, not about the valve. As your flow control partner, we create and customize the best flow solutions for each client’s unique process. When concerns such as lost productivity, remote location and equipment / employee safety are critical to your operation, you can count on MOGAS. Each component within a MOGAS valve is designed and manufactured to the toughest requirements of materials, quality, inspection, cycle duty and safety levels. Years of valve performance analysis, field reports and statistical service data provide the information required to offer an industry-first PERFORMANCE GUARANTEE. Severe plant conditions can quickly turn into severe consequences for your business. That’s why companies worldwide turn to MOGAS Industries – the leading manufacturer of severe service isolation and control ball valves for the most extreme applications in power, mining, oil & gas, refining, chemical/petrochemical and specialty industries. Combining over four decades of field and manufacturing experience, we engineer valve solutions only for severe services. MOGAS’ proven process includes industry experts, innovative engineers, tenured manufacturing personnel and a support team whose motto is ‘Anytime. Anywhere’. You can be confident when choosing MOGAS. Our application-specific designs ensure process integrity, uptime reliability and personnel safety, and result in the lowest cost of ownership. In short, MOGAS valves perform in the harshest environments so your company can too. Building valves only in the severe service market for over 40 years means unmatched expertise. Anytime. Anywhere. Servicing what we build helps us make better valves. Application specific valve designs are born from investigative analysis. We employ tenured industry experts and engineers with extensive field experience. Safety isn’t expensive. It’s priceless. And it’s built into all our products. Because MOGAS valves are more durable and have a longer life cycle, they cost less over time. The world's first application-specific PERFORMANCE GUARANTEE…plus a Lifetime Warranty on materials and workmanship. Valve SelectorWHICH MOGAS SOLUTION IS RIGHT FOR YOU? Find out with our innovative valve selection process to find the product that suits your needs. 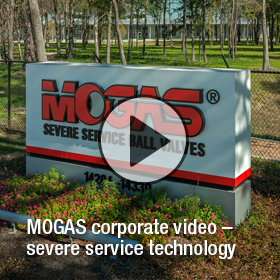 MOGAS Industries is the dominant severe service technology company, providing world-renowned services and the best severe service, application-specific products for critical valve applications in power, mining, oil & gas, refining, chemical/petrochemical, pulp & paper and specialty industries.